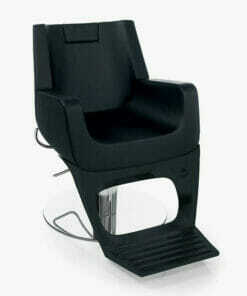 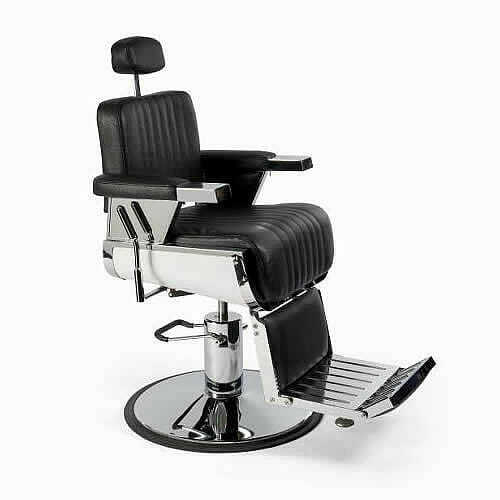 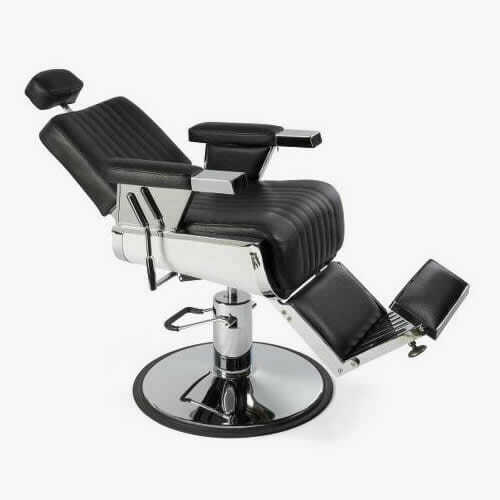 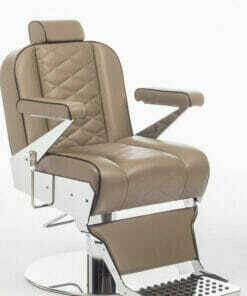 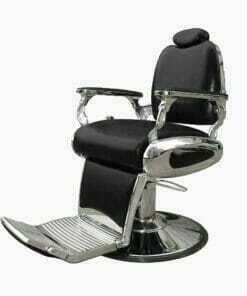 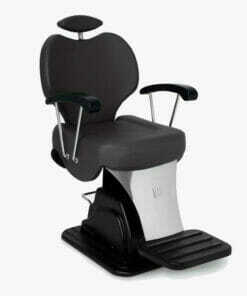 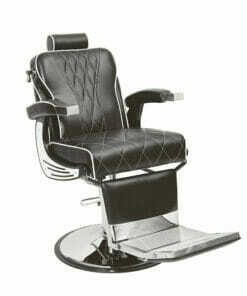 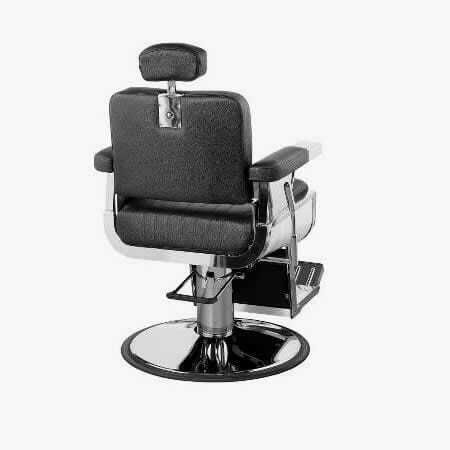 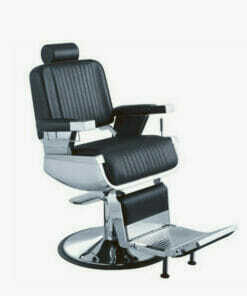 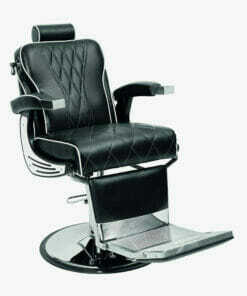 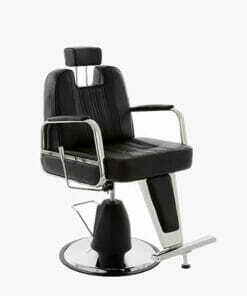 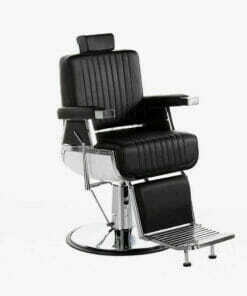 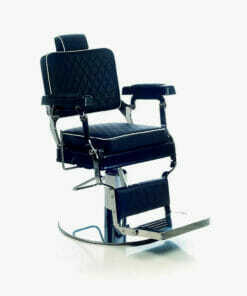 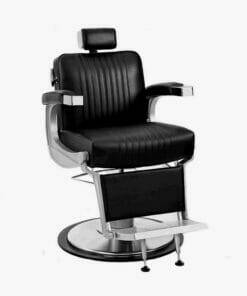 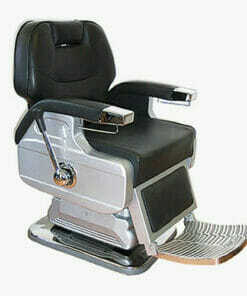 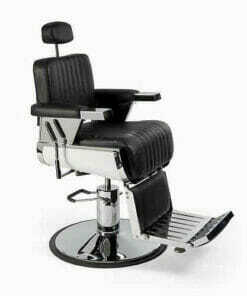 The Cadillac Barbers Chair. 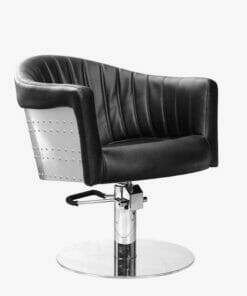 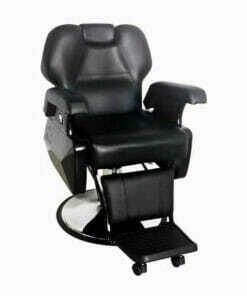 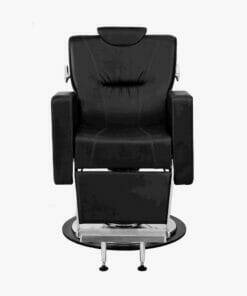 Strong and durable with a locking hydraulic base and large comfortable seat. 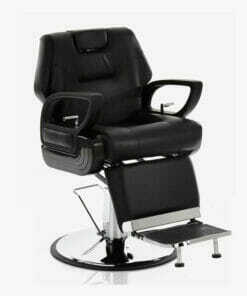 featuring a manually reclining back, height adjustable head rest and foot rest for leg support. 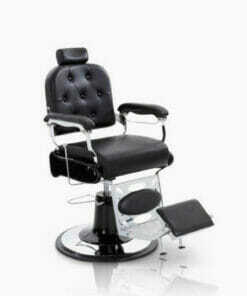 Rotates up to 180% with a wide metallic round base.